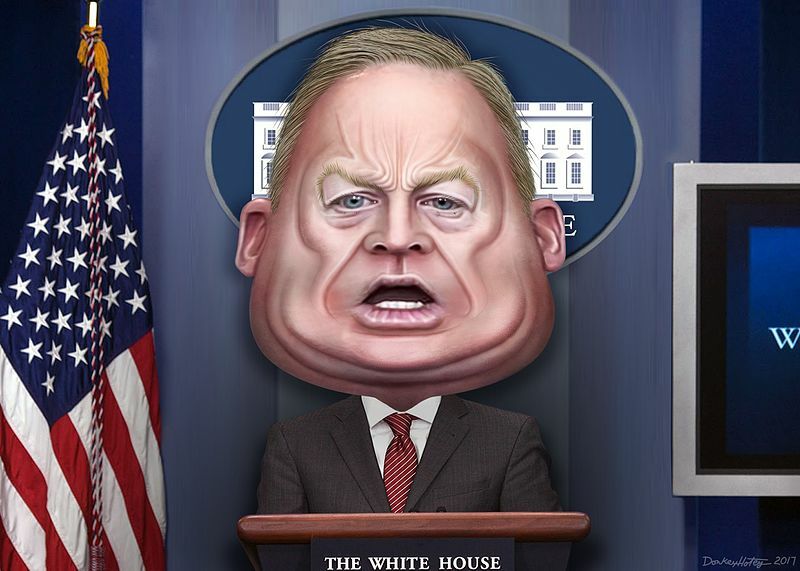 On Friday, White House Press Secretary Sean Spicer had to admit that what White House Staffer Stephen Miller (Little Stevie) has been telling folks about President Donald Trump (Trumpster, Street Corner Donald, The Donald) being the King on the hill is just not true. Before the vote on the Health Care bill, Kristen Welker asked Sean Spicer if indeed the “buck” stops with President Donald Trump. Welp, several of the Freedom Caucus members let Trump and his crew know that they would be voting their conscience. And being the human that he is, Trumpster and his crew didn’t like hearing that too much. So Trumpster sent White House Chief Strategist Steve Bannon (Stevie B Banning) to have a little talk with the Freedom Caucus folks. Stevie B Banning walked into the room with his shoulders back, his chest out, his head held high, and base in his voice. Needless to say, that didn’t go over too good. The Freedom Caucus folks didn’t like it that Stevie B Banning came in with that “I’m yo’ pappy today” attitude.